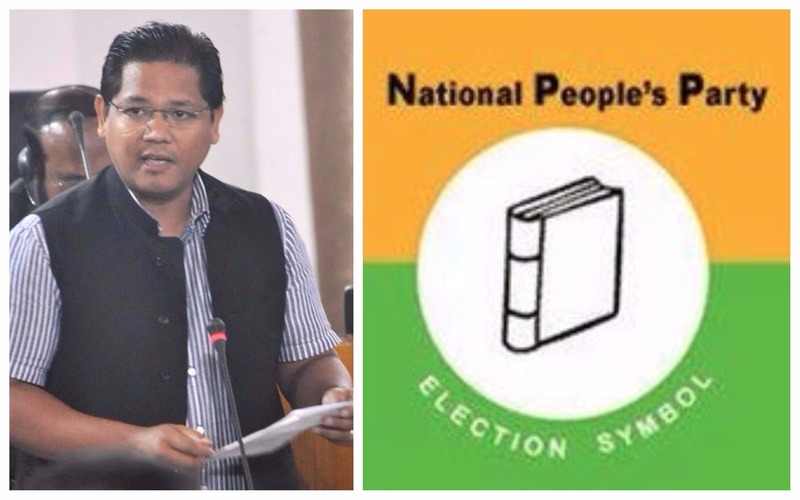 In another major development ahead of the ensuing Assembly elections in Meghalaya, as many as eight sitting legislators, mostly from the Congress are expected to join the National People’s Party (NPP) on January 4 next year. Interacting with media in Shillong on Wednesday, Meghalaya unit president of NPP, WR Kharlukhi said the sitting MLAs will join the party at a public rally likely to be held at Polo Grounds. The eight legislators are: Siawbhalang Dhar from Nartiang constituency, Comingone Ymbon from Raliang, Hopeful Bamon from Sutnga Saipung, Stephanson Mukhim from Amlarem, Prestone Tynsong from Pynursula, Remington Pyngrope from Mawkynriew, Rowell Lyngdoh from Mawkyrwat and Ngaitlang Dhar representing the Umroi constituency. “We expect a crowd around 10000 during the rally,” Kharlukhi added. Meanwhile, the NPP has also finalized the name of Sounder Cajee as its candidate from South Shillong constituency while the name of Erwin Sutnga has also been finalized by the NPP as its candidate from North Shillong. Kharlukhi said the party is considering the win ability factor while choosing the candidates. He also the NPP is expected to perform better than previous occasions in the capital city of Shillong apart from the Garo Hills, considered as strong area of the party. The NPP also got a shot in the arm on Wednesday when two Congress youth leaders from Ri Bhoi district, Pyndeplang Wahlang and Alfred Malai, joined the party. Kharlukhi also said that the party would contest at least 50 seats in the upcoming Assembly polls. He also said that the party would declare its full list of candidates by mid-January next year. Assembly election in the State will be held somewhere in February next year as the tenure of the present Assembly ends on March 6, 2018.